Looking for Roofing Companies in Charlotte, NC? Choose Crown Builders! • Architectural Shingles – We are one of the few roofing companies in the area that believes your home should stand out from the crowd. 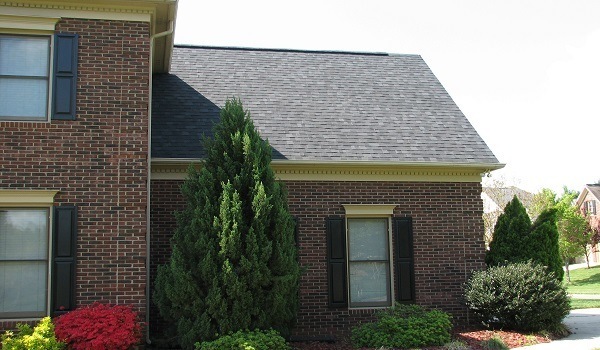 Architectural shingles are a great way to customize the roof of your home by imitating the look of cedar shakes or slate without the support that these materials require. • Accent Copper Roofing – This type of roofing is extremely elegant looking and is lightweight, durable, and versatile. Not only will this type of roofing last for many years, but it is also environmentally friendly. • Flat Rubber Roofing – If you get your power bill at the end of the month and have a mini heart-attack, consider flat rubber roofing. Not only can this type of roofing save you on your monthly utility bills, but it also protects your home from the elements. There are a variety of other roofing types that we are able to install on your home. Unlike other roofing companies in the area, Crown Builders always installs new shingles and roofs exactly to the manufacturer’s specifications. You can trust Crown Builders to give you a fair and low-priced estimate and do a high-quality job on your roof. For all your roofing company needs please contact Crown Builders in the surrounding areas of Charlotte, Huntersville, Concord, Gastonia and Mooresville, NC.